A well-drilled team running a full-court press is exciting to watch and can be devastatingly effective against any opponent. When your players are all on the same page and rotating as one unit, the press will give you many advantages that can turn a game in your favor. 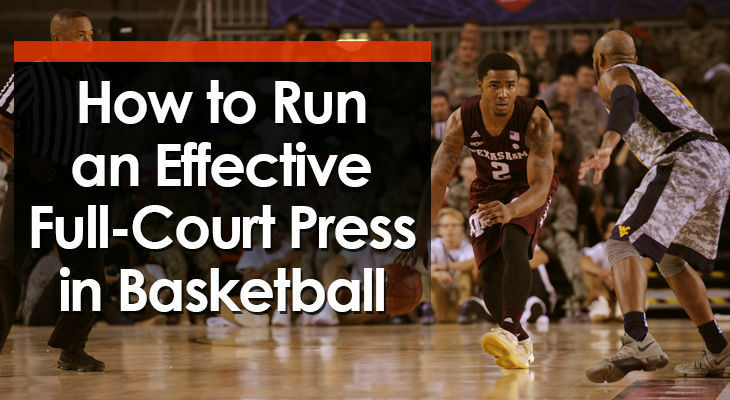 The different types of full-court presses. The main reasons why you should use one. When you should consider running a press. "What is a full-court press?" When coaches say 'full-court press', they're talking about putting pressure on the opponent for the entire length of the court. This is instead of sprinting back to the half-way line and setting up a half-court defense like many teams do. Forcing the opposition into turnovers. The more steals your team can get by running a full-court press, the more opportunities they'll have to score. Yet it could be the most important reason to use one. Even if the press your team is running doesn't result in a steal, running one can force the opponent away from their strengths and make them play a style of basketball they're not comfortable with. This is a huge win for the defense. If you're competing against a team that likes to slow the basketball down and pass inside to a dominant post player, running a full-court press will force them to play faster and take more undisciplined shots early in offense. But using one against certain teams or in specific situations can give your team's full-court press a higher than normal chance of success. It should come as no surprise that a full-court press can be very effective against teams without quality guards who make smart decisions. 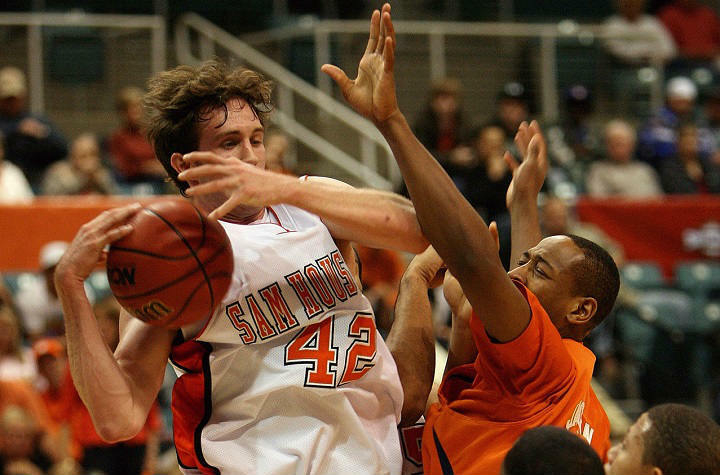 Playing against a full-court press is physically and mentally demanding. It's challenging for both the offensive team and defensive team to compete full-court possession after possession. This gives the team with a deeper rotation an immediate advantage as they're able to keep their team fresh by subbing players in and out without a loss in the quality of play. A high-energy full-court press can be extremely effective against teams who like to slow the basketball down and run their half-court offense. Perhaps they have a dominant post player they like to isolate on the block. Running a full-court press can speed up the game and take them away their half-court offense. Occasionally you will have games where your team looks tired and unmotivated to play hard. Maybe they've already played 2 or 3 games that weekend or your team has just travelled to a tournament a long distance from your home town. Either way, running a high-intensity full-court press can be a great way to change things up and snap your team out of a sluggish start. If you experience a stretch where the opposition scores 6 - 8 quick points, use a full-court press to change the game. Changing the defense and tempo is a great way mix things up and take control of the game again. Sometimes your team will face a great point guard and you just want to get the basketball out of their hands.. Instead of allowing them to easily dribble up the court and set up the offense, a full-court press forces them to pass early. As long as your team doesn't allow them to easily get the basketball back, it can force a different player to set up the offense and create scoring opportunities. There are negatives to implementing a full-court press. Make sure you're aware of these points when deciding whether or not to implement one on your basketball team. I won't go into too much detail on this topic (I'll save that for an entire blog post), but it's important to know that running a full-court press isn't great for the development of youth players. Youth players aren't strong enough to throw the basketball over the press. Youth players aren't strong enough to make hard, quick passes. Youth players don't have the experience or decision making skills to break a full-court press. All 3 points above result in a youth defense being able to flood the front court without fearing a long pass over top and allowing a wide open layup. This can result in steals for the defensive team simply because they're outnumbering the offensive team in the front court and taking advantage of their physical weaknesses. This is not a good environment for learning and development. In my opinion, players get the most development from playing half-court man-to-man. Which is why I always recommend youth teams drop back beyond the half-way line on defense and allow the players to compete in the half-court as much as possible. If you've been following BFC for a while, you'll know we recommend the 50/25/25 practice structure for youth basketball. Attempting to teach your team a half-court offense and half-court defense is hard enough in that limited amount of time. Adding a full-court pressure defense will take up even more practice time that could be better spent on other areas of the game. There are many different full-court presses for a coach to pick from. Depending on your team's personnel (strengths and weaknesses), some will be better suited to your team than others. 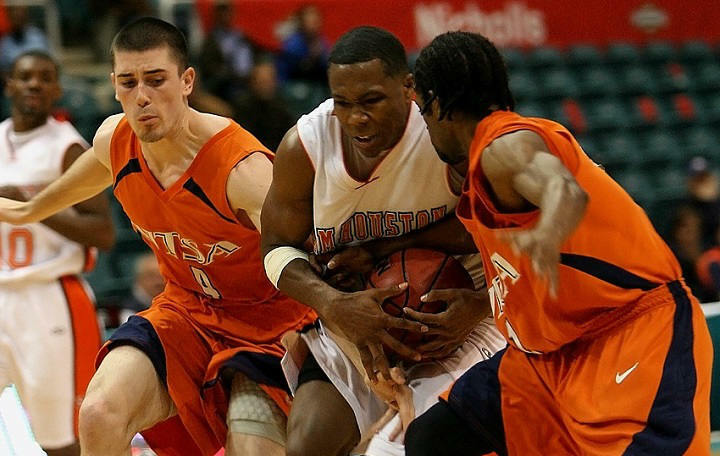 A man-to-man press involves every defensive player guarding a direct opponent for the entire length of the court. Involves every defensive player defending their direct opponent for the entire length of the court. Involves every player starting with a direct opponent in regular man-on-man, except there are several 'Run and Jump' rules which encourage trapping and switching which can disrupt the opponent. There are many variations of a full-court zone press that teams can run depending on the team's personnel and how the coach wants to play. Each of them has their own strengths and weaknesses, but all of them can be run effectively by the right team. Involves two players across the free-throw line, two players near half-court, and one player down back as safety. Involves one player at the front defending the inbounds pass, two players across the free-throw line, one player just above the three-point line, and another player down back as safety. Involves the front defender on the three-point line, three defender across the half-way line, and a safety at the back. Involves three players across the free-throw line, one player just in front of the half-way line, and a safety at the back. Involves one player on the free-throw line, two players just before the half-way line, and two players down back. With so many options available, it can be difficult for a coach to decide exactly which full-court press to teach their team. a. Do you want to play fast or slow? The first thing you must do is evaluate the speed at which your teams plays their best basketball. Getting steals and then quickly attacking the hoop looking to score or draw the foul. Forcing a turnover and then putting the breaks on and either passing the basketball around the perimeter or working the ball inside to a post player. b. What are the strengths and weaknesses of your key players? If you have a great post player who can protect the rim in a two-on-one situation, you might feel comfortable implementing an aggressive press like the 3-1-1 knowing if the first two defensive lines get beat, they will be able to protect the rim. But if you don't, it might be better to use a conservative press like the 1-2-2.
c. Which press will be most effective against your opponent? One that speeds up the opposition (e.g. 1-2-1-1) and one that slows them down (e.g. 2-2-1). Then your team can change it up depending on the opponent. But during youth basketball, I recommend focusing on the first two questions and selecting a full-court press that fits your team's personnel without worrying about the opposition. The desire to sprint back on defense after the press has been broken is the most important part of running a full-court press. No matter what full-court press you use, it isn't going to work every time your team sets it up. Heck, even the best teams may only force a turnover on less than 25% of possessions. Which is why every player on the team must be committed to sprinting back on defense immediately after the basketball has passed their defensive line. Once they're back, players must communicate and use smart rotations to ensure all offensive players are being guarded without allowing an open shot. There have been times where we’ve ran a full-court press, made zero steals, but the full-court press has been super effective. Because it prevented the opposition from playing their style of basketball. When they want to slow down and control the ball, speed them up. When they wanted to play fast and score quickly, slow them down. Implementing one of the full-court presses above will help you do this.